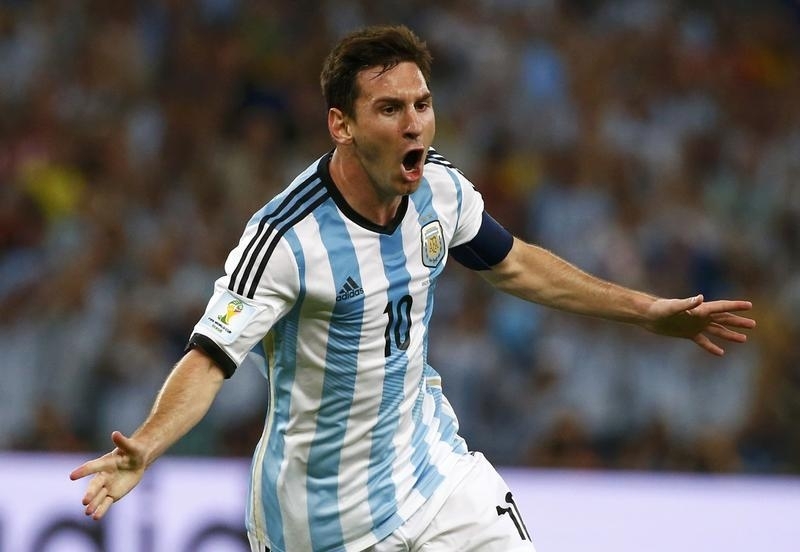 If only the Argentine economy’s success matched that of its soccer team. The nation’s strong World Cup showing, making it into the final against Germany, reflects astute management of its big fan base and valuable on-field talent. That contrasts with a 100-year record of wasting its human and natural resources. It’s not too late: Avoiding policy own-goals could one day make Argentina an economic champion. Argentina was always well placed to make the final stages of football’s most prestigious event. The sport is immensely popular among Argentina’s 41 million citizens. The star-studded team was the fourth most valuable in the world in terms of transfer value at $586 million – behind only Spain, Brazil and Germany. With rivals like Spain knocked out early, a Breakingviews calculator based on these metrics predicted the Argentine team would make the final cut. The South American country’s economy could also be a world-beater. Its impressive endowment – including some of the globe’s most productive agricultural land combined with a relatively well-educated work force – helps explain why its GDP per capita ranked among the top 10 in the world in 1914. One hundred years later its ranking on this measure has slid to 75, according to the U.S. Central Intelligence Agency’s fact book, below the likes of Gabon and Timor-Leste. Argentina’s tendency to shoot balls into its own net is mostly to blame. The government handicaps its powerful agricultural sector by imposing export taxes – part of a myopic effort to keep food cheap at home. The result is lower production and less foreign exchange. A lack of respect for property rights – illustrated by President Cristina Fernandez’s nationalization of private pension assets in 2008 – has also hampered investment. Anxious Argentines now hold about $200 billion of assets overseas, equivalent to around 40 percent of national GDP, the Centennial Group calculates. A willingness to expropriate assets – including those of Spain’s oil giant Repsol – has chased away all but the boldest foreign investors. And since defaulting on $100 billion of debt in 2001 Argentina has adopted a bellicose approach to creditors – resulting in a lengthy legal battle. It needn’t be this way. Argentina’s stock of resources keeps growing more valuable. It has the world’s second-largest reserves of shale gas, a recent U.S. government estimate suggests. Merely making fewer policy blunders would be enough to make Argentina’s economy a world-class player, too. Argentina lost to Germany in the final of the football World Cup on July 13. Argentina’s squad had a combined transfer value of $586 million, compared to $787 million for the German team.